Get rid of leftover paint smell—and the nausea that comes with it—when you slice open this surprising grocery store purchase. Few things in life are guaranteed. That short list includes death, taxes, and the fact that freshly painted rooms will retain some lingering odor until you give them adequate drying time. While low-VOC paints can minimize the fumes, sometimes they aren’t the most affordable option—and other times, you have already fallen in love with a swatch for a paint that isn’t manufactured in a low- or no-VOC formula. No matter the reason, if you have plans to paint anywhere inside your home this summer, save yourself from falling victim to that slightly nauseous post-paint-job feeling with an unusual grocery store grab: the onion. 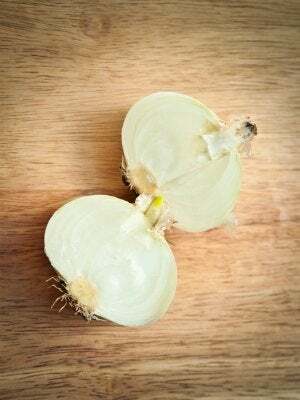 Though it might make you cry while you’re chopping it, a cut onion can absorb and neutralize fresh paint odors. To try this on your next paint job, simply take a medium or large onion, peel it, and slice it in half. Then, place each half in its own shallow dish, cut side up, at opposite ends of the room. 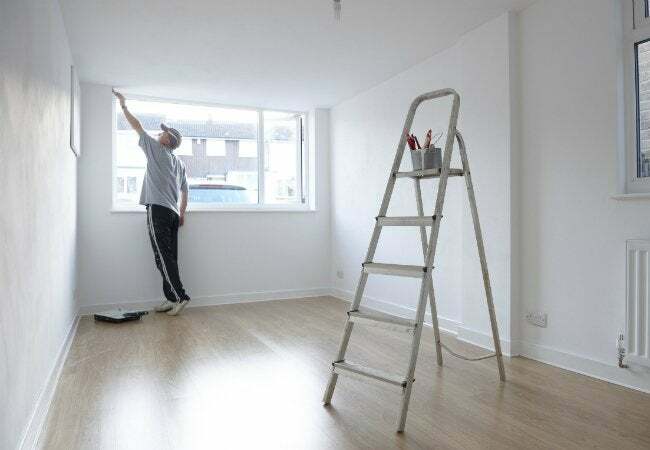 You may need more onion if you’re painting a space that’s larger than a master bedroom or small living room; start with one, and add more if necessary. Also, keep pets or small children out of the room as you work—you don’t want them discovering the onion halves and accidentally ingesting them! When you’re done, simply toss the remains into your home’s compost bin, and enjoy the rest of your evening in odor-free peace.